Focused on prevention, the La Pêche Fire Department offers public education and youth awareness services in addition to running a home inspection program for reducing and controlling fire starting and spreading risks. The Fire Department responds to fires and disasters to protect the lives and property of residents and is ready to jump into action at any time. La Pêche Fire Department equipment and resources are spread out around the municipality and based in four stations located at strategic points. The Fire Department’s vision is to protect the lives and property of all residents while sowing bonds of trust with them. The Fire Department’s mission contains several elements: ensure the highest level of service; unceasingly aim for higher efficiency and effectiveness as well as service excellence; develop a feeling of pride and belonging within the team; make integrity and esprit de corps a priority; ensure the proper management of public budgets, materials and goods; ensure compliance with the law and the standards of our profession; make full use of the knowledge, skills and experience of all the service members; lastly, continually plan for the future in order to follow the evolution in the community’s needs. 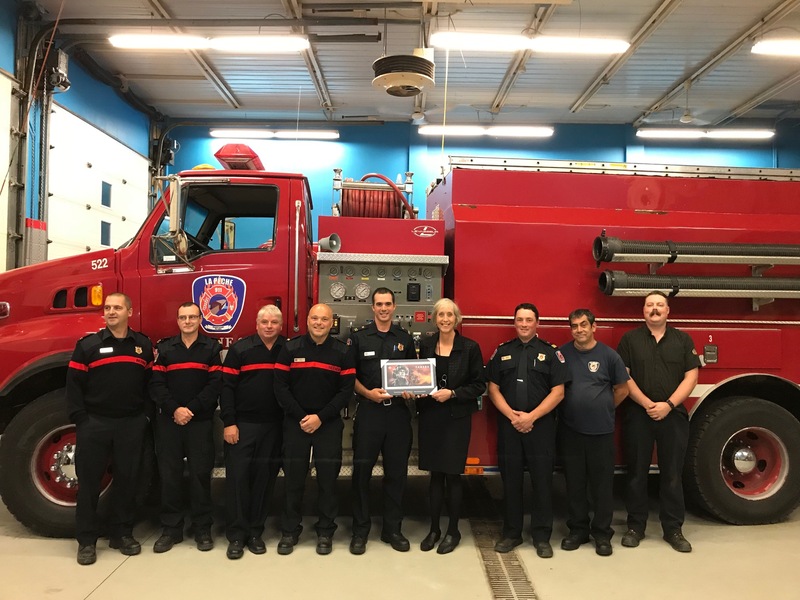 Following the unveiling of the Canada Post stamp commemorating emergency responders on September 14, 2018, a Canada Post representative, Mrs Céline Morisset, who lives in the Wakefield area, offered to give the firefighters a gratitude plaque reproduced with the same picture. The plaque has been signed by Mrs Morisset and her neighbours to show thier appreciation to the firefighters for their essential work. 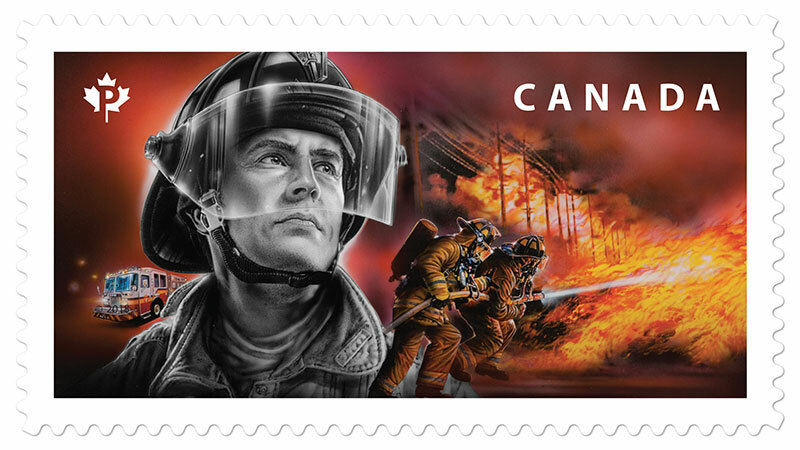 The Post Canada stamp commemorating firefighters. Last updates on October 16, 2018.